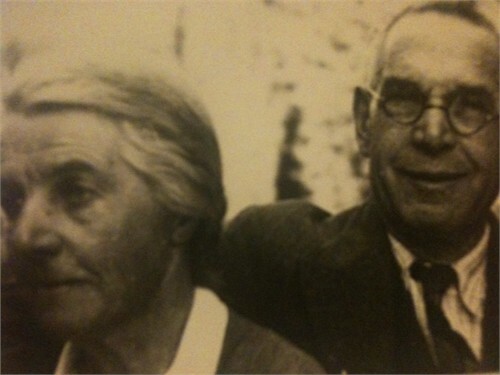 John Henry Moss was born in Daylesford in rural Victoria on the 12th May 1874. There were no nurses or doctors present only his mother and a Mrs Malcolm and Mrs Lane who helped bring him into the world. He was born in the Borough County of Talbot, Colony of Victoria. At this time Australia was not yet federated. His father was John Henry Moss and his mother was Sarah Varcoe (different spelling variations have been located). On his registration she was listed as Vercoe. 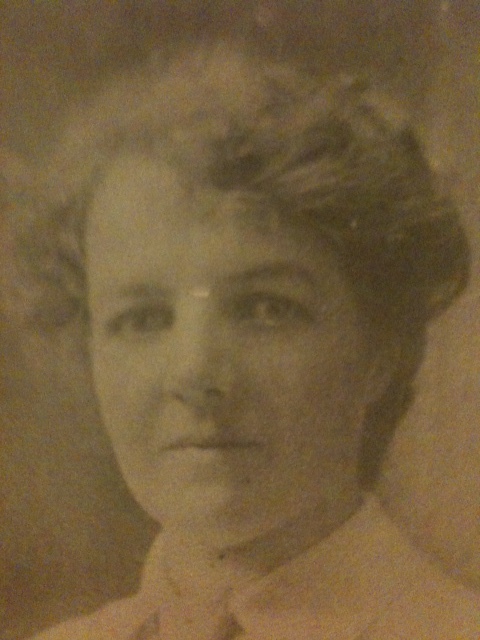 I found her many years ago listed in a Melbourne Genealogical Society record as Narcoe. So take your pick but I’m pretty sure it’s Varcoe. His registration number at birth was 15185. His birth was registered by his mother. His father was aged 31 and gave his occupation as Miner. He was not present at the registration. Young John’s parents were married on the 31st January 1865 in Ballarat. Where I don’t think it is too far a stretch to consider he was mining also for the gold that was being wildly sought by all and sundry across the goldfields of Australia. John was registered on the 10th July 1874. John is listed as being the youngest of his siblings, Thomas 8 and a half years, Alfred 7 years, Mary 5 and 3/4 years, Arthur 4 years and Emma two years. Johns mother Sarah was 29 at the time of his birth and hailed from St Stephens in Cornwall England. At the time of his birth the family resided in Albert Street in Daylesford. Now what is interesting is that on the registration page/s on and around John Henry’s arrival are also the records of other babes whose father’s and mothers also hail from Cornwall in England. And what was Cornwall known for but mining. And what did Daylesford have but gold mines and later quartz mining. At some point in time John has gone across to South Africa in a mixture of different business ventures. On the 18th December 1905 John and his (first) wife Dorothy, arrived in Melbourne from Cape Town in South Africa aboard the SS Militiades. They gave their nationality as English. (Probably an error on the behalf of the recorder). John was 31 and his wife 29. They had with them their daughter Doris who was 7 and Alfred/Arthur who was 3. This would have been the famous journey I heard about as a child when Uncle Tom was born aboard the SS Militiades and the Captain gave his mother a silver cup to commemorate his birth aboard the ship. In all they had four children together, Alfred/Arthur (? ), Doris who was probably Dorothy, Nellie and Thomas. At some point in time this marriage ends. John is still in South Africa at this time. After he leaves South Africa for the final time to come back to Australia his ex-wife and all but one of his children from this marriage remain in South Africa. I know this because when Uncle Tom died intestate his remaining siblings were able to be tracked down in South Africa. Mary Alice Mohan was born on the 1st July 1872 in the ancient town of Drogheda in County Louth. She was baptised on the 4th July 1872, Catholic in her nearby family church of St Mary’s. The child of James Mohan and Bridget Duffy. Both names with long family connections in the area for several generations. Mary’s family were from Drogheda. By 1901 her family less her deceased father are living in Dublin. The Mohan’s are residents of a house 61.8 in Lr. Gardiner Street (North Dock, Dublin) at the time of the 1901 Irish Census. Taking into consideration other census records for nearby families etc (this branch of the Mohan’s) were remarkably well-educated. It would only have been a few years prior that James Mohan had died. Although on the census Bridget is marked as married. Like most of their neighbours the Mohan’s identify as Roman Catholic. From this census it appears that Bridget and the extended family are living with her son James a Smith in metal art works and his wife Margaret and their four-year old son Michael. A family story was that Mary was 16 and away at boarding school in Edinburgh in Scotland when her father died. I seem to remember being told that he was an Engineer and reasonably well off. The story went that Mary had woken in the night and checked her watch and later found out that it was at that time that her father had died back in Drogheda. As a child I was shown a piece of stationary that I think had a red goat printed on it. I was told that this was the Mohan family crest. About 1902 Mary married Harold Cave an Englishman and for some years they lived in England. From family lore I understand it was not considered a popular match by the families. There were three children Evelyn Alice b 1909, Harold George b 1910, George Alphonsus (Roger) b 1911. Prior to 1914 the marriage ended. Mary herself said, he was lost in a snow storm. Around 1914 Mary Alice Cave (Mohan) came out to South Africa with her cousin a Mrs Duffy as a travelling companion. On the way out her cousin died onboard the ship and was unceremoniously tipped over the ship along with her belongings due to her having a communicable disease which the captain of the ship feared would take down the whole of the population onboard. Mary was stuck in South Africa. She had left her three children with her mother in Drogheda in Ireland. A family story was that she answered a newspaper advertisement for a housekeeper for a Mr JH Moss. Mary took a job as a housekeeper to John and looked after his three children. Where his wife had got to I have no idea I assume they had fallen out and divorced. Mary and John got together and she went back to Ireland to collect her children from Drogheda. Whilst she was there in 1915 young James Henry or Jim as he was always known was born. She came back to South Africa and a few years later in 1916 Joseph Patrick was born. (My side of the family always knew him as Patrick or Pat). Whilst they were there John and Mary had a cinema in Johannesburg and also an ostrich farm in Pretoria. 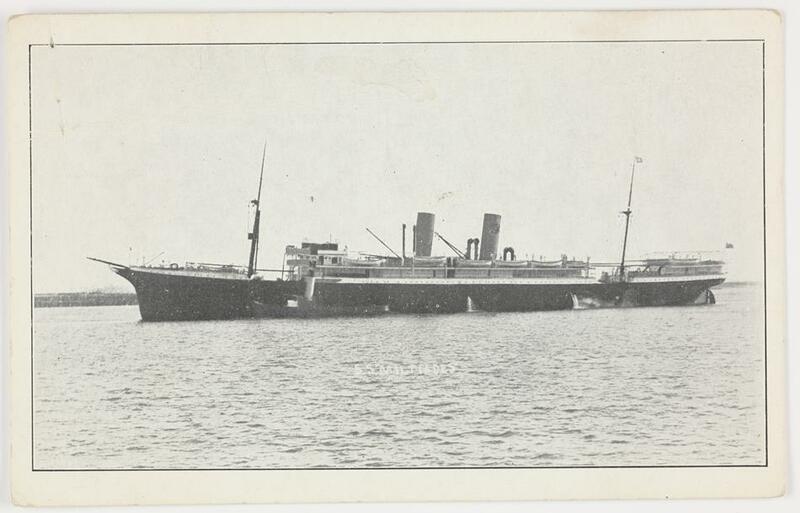 They returned to Australia aboard the Ascanius arriving on the 15th October 1917 with Mary’s eldest children, John’s son Tom and their two small boys James and Joseph. Doris and Alfred stayed behind in Africa with their mother. The family disembarked from Durban in South Africa with John’s occupation given as Engineer aged 44 and with him and his wife aged 37 (Irish). Tom aged 10, Harry aged 8, Eva aged 7, Alphonsus aged 5, James aged 2 and Joseph aged 1. In 1919 the family were living at 21 Murphy St Elsternwick South. Occupation listed as a Traveller. Doubtful that the home currently on the property is the house that the Moss family lived in. He must have voted that year as he is ticked off the electoral roll. Back in Australia Mary who was a tiny feisty woman was known for being able to take on big and small opponents. She would take the youngest of her children to the markets and put them outside the crowd with great baskets whilst she would slip in under elbows of her taller counterparts get to the front of the crowd haggle for what she needed and then slip back out filling up the baskets before going back into the foray again. Her sparkling green eyes would also dash with anger if any accusations were made against her children whether true or false. She was known to chase a policeman down the street with a broom after he made a claim against one of her boys. At other times she was known to drop to her knees and start praying the Angelus whilst insisting the Policeman joined her, which gave her boys enough time to leap over the back fence and make a quick getaway. They weren’t bad boys, in fact they were very clever and bright for the time They knew how to unhook the mains electricity and re-route it to where they were conducting experiments etc. Another time there was the traveller who couldn’t pay his way so he gave up his gun in lieu of payment. Mary waited until her husband was gone and had the boys go and throw it in the Yarra lest it turn up in the home. The old man had a quick temper and a fondness for the bottle. Subsequently the boys were not very old before they all cleared out of home to make their own way in the world. Mary Alice Mohan. Taken around 1916. In 1924 they are still living at 21 Murphy St, Listed as a Traveller. For the first time Mary Alice appears at the same address with him and is listed as Home Duties. It is therefore safe to assume that Mary was now eligible to vote. By 1931 the family had moved to 39 Beaconsfield Parade St Kilda. John is listed as Proprietor and Mary as Home Duties. This may well have been the boarding house that they owned that my Grandfather used to talk about. The area is now known as Albert Park. Careers of John included Fitter and Turner, Hotel Owner (advised by JP Moss) Lived areas from St Kilda down as far as Gardenvale. The wedding of Mary’s daughter Eva in 1935 made the papers and must have brought some considerable happiness. Deep creamy magnolias were carried by Miss Evelyn Cave at her marriage yesterday at Scots Church to Robert H., only son of Mr. Evan Evans, of Boston Manor, Middlesex, England. The bride is the only daughter of the late Mr. Harold Cave, of * Flatin Hill, (they mean’t Platten Hall but hey why quibble), Drogheda, Ireland, and of Mrs. J. H. Moss, of Springvale. The Rev. Dr. W. Borland officiated at the ceremony, and the bride was given away by Mr. George Bowcher. The lovely bridal gown was of glimmering satin with the rich sheen of magnolia petals, and it was fashioned in clever draperies with a soft shirring of tulle across the front of the bodice. The skirt was cut with a square panel extending to a long train. From a half-circlet of orange blossom across the back of the head clouds of misty tulle fell to veil the satin train. Pale water-lily green satin, cut to the new inverted wine-glass silhouette, fashioned the dress worn by the matron-of-honour, Mrs. George D.Bowcher. Softness was given to the bodice by a filmy cape of pleated chiffon, caught at the throat with a lei of pink water lilies, and a posy of water lilies was car- ried. The best man was Mr. Laurie Strickland. The bride’s mother wore a graceful frock of deep blue chiffon relieved with touches of white, and she carried a posy of pansies. After the ceremony Mrs. G. D. Bowcher and Miss N. Merrix entertained a few intimate friends of the bride and bridegroom at Victoria Hall, St. Kilda Road. * Not quite sure what connection Cave had to Platten Hall as I can find no record of the Cave family owning it or being in tenancy. In 1913 it was owned by the Gradwell family. By 1935 John had purchased a property on Clark Road Springvale. John and Mary had moved to what was then the rural area of Melbourne’s fringes. They were on a Chicken Farm. John is listed as a Farmer and Mary as Home Duties. Not long after this John left Mary on the farm and returned to Melbourne. Mary at the time did not keep good health. Mary died on the 5th June 1939 at Clark Road, Springvale her cause of death was Erysipelas, Coronary Thrombosis and Cardiac Failure. Length of illness 7 days. Dr Luth attended. My certificate was obtained from BDM in 1998. Monday afternoon, and deep sympathy is felt toward the bereaved. 7 June 1939, The Dandenong Journal. Mary was buried at the Springvale Cemetary (Necropolis) 6 June 1939 in perpetuity. Unmarked grave. Burial Site RC”A” Plot 8. Mary was 66 when she died. I’ve been to visit my great grandmother’s grave. It is a peaceful place. I imagine her life was quite a journey as she traveled many countries before settling in a home in far away Australia. A few months after Mary died John was in a serious accident. buggy. Mr Moss received a fractured jaw, injured leg and bodily bruises and is still confined to hospital. 27 September, 1939, The Dandenong Journal. At the time John was said to have had a lady friend a Mrs Ruffy (not sure of spelling) who was supposed to be his housekeeper. What is known is that she cleaned out Mary’s home of most of her treasured antiques and collectibles before the family could finish paying their respects to their deceased mother. By 1941 John was selling up at Clarke Road in Springvale as was recorded in the Frankston Standard. Now purely as an interesting snippet my grandfather had said that his father’s family motto had been ‘bricks and mortar’ as to what that meant or indicated I cannot say. Before my grandparents married my great-grandmother asked my grandmother to make sure her son always prayed and stayed a Catholic with a strong sense of faith and to be the good man she had raised him to be. She did, and he did. Wow! This is impressive! I have figured out our relationship. Our great grandparents were brothers – your James and my Michael. This story has given me another piece in the puzzle. When your family Bridget Mohan nee Duffy from Drogheda were found in the 1901 Census, they were only a few houses away from my Micheal’s eldest son James in Gardiner Street Lower and a few streets away from Jame’s brother John in Talbot Place. Amazing! Well done on such a great website!